Do you have a civil case and no lawyer? Are you anxious and less prepared than you’d like? Do you worry about your case but do little to advocate it? Do you feel victimized by the court because you can’t get a judge to do what’s right? You’ve come to the right place. 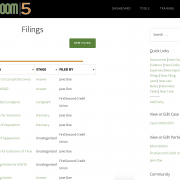 Courtroom5 is a community of self-represented civil litigants. 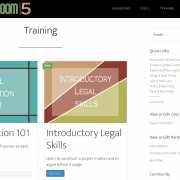 We offer litigation tools for better performance in court, courses and workshops for building your skills, and a Q&A forum for peer advice and support. 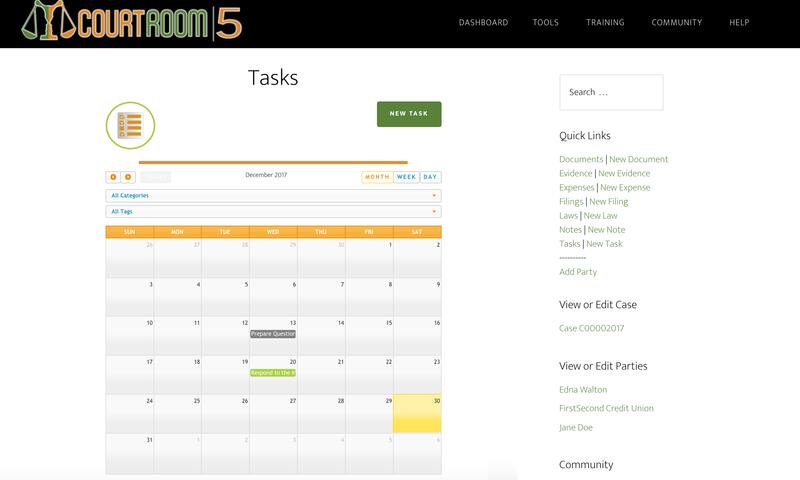 With Courtroom5, you’ll have a civil litigation platform that levels the playing field so your case gets a fair hearing. You’ll be knowledgeable, confident, and ready to compete with the lawyer on the other side. The time you spend worrying will now be spent preparing the next step in your case. It's the questions that drive us. What should I file now? How should I phrase that point? What information do I need? How will this play out in court? 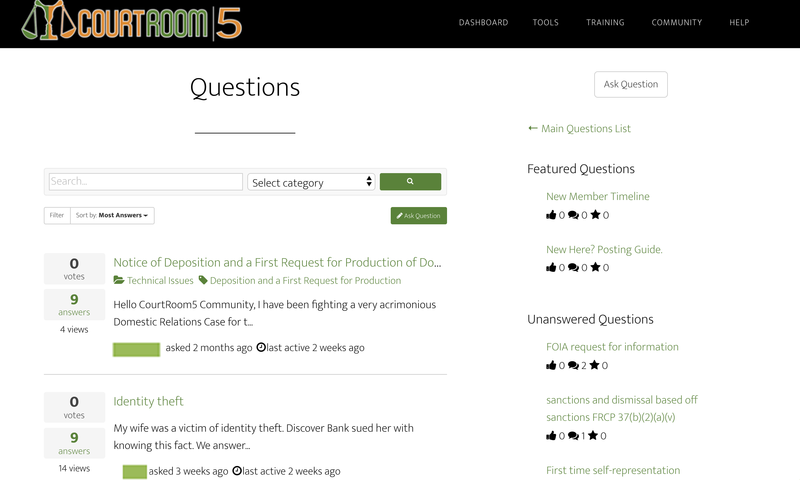 As a Courtroom5 member, you'll ask the right questions and find the answers on your own. And you'll move with impact on the answers you find. Your case is too important for amateur hour. Join Courtroom5 today. Sleep better tonight. 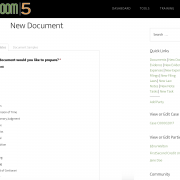 For guidance on “do it yourself” litigation, see Courtroom5.com. People who never lodge their claim or respond to a complaint lose 100% of the time. 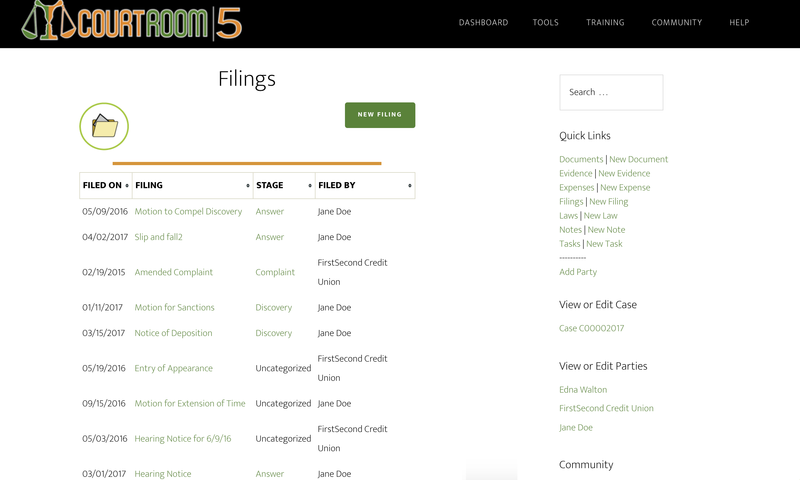 Courtroom5 makes it easier to handle civil litigation without a lawyer — starting with filing or responding to a complaint. 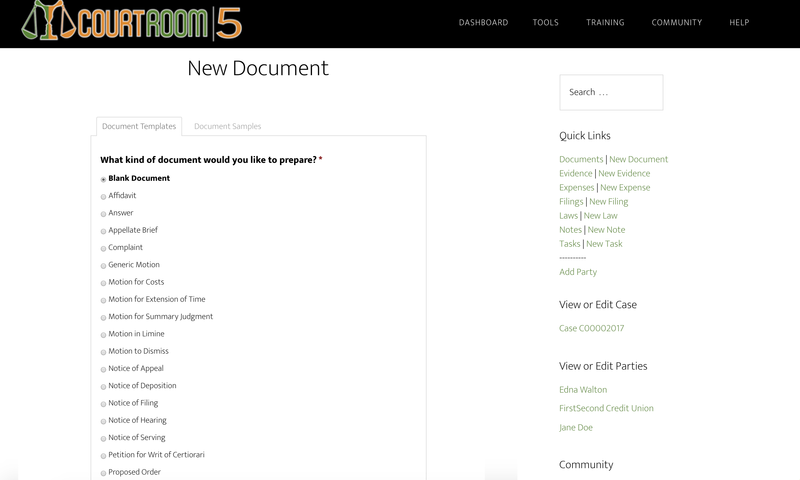 Our litigation platform helps you craft a case strategy, choose each next step, and execute those steps effectively. Does this work on my type of case? We can’t help with criminal cases, or traffic tickets or evictions. We’re not set up to service appeals, and we don’t offer fill-in-the-blank forms. Other than that, we’ve got you covered. Our members have divorce and custody cases, foreclosures, debt, probate matters, anything that relies on rules of procedure. What if I have more than one case? Is there anything to install or download? 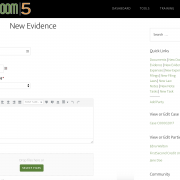 Courtroom5’s litigation platform runs securely in your web browser wherever you have an Internet connection. There’s nothing to install or download on your computer or other device. It works with all modern browsers, including Chrome, Firefox, Internet Explorer and Safari. We accept Visa, MasterCard, American Express and Discover. 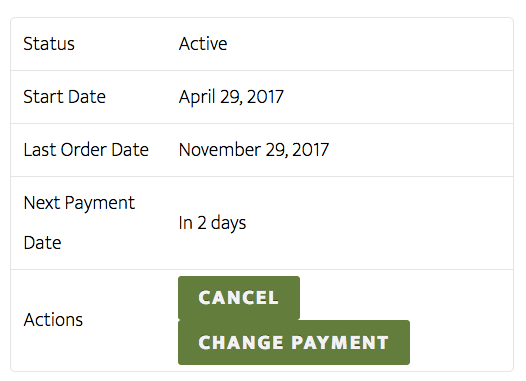 We process your subscription automatically with your chosen payment method, and you can update your billing preferences at any time. Will the price change later? 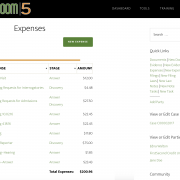 Your monthly membership fee is set in stone when you join Courtroom5, and it stays the same for the entire life of your membership. However, rates may be higher for members who join in the future. The security of your data is our #1 priority. We know how sensitive court records can be, so your privacy is guaranteed. 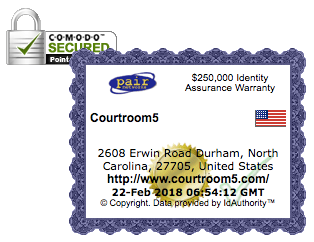 Your Courtroom5 account is maintained under 256-bit secure socket layer (SSL) encryption at an address known only by you. It is delivered only through an SSL-encrypted Internet connection. All files are stored securely behind an industry-leading firewall, protected from malware intrusion and unauthorized transmission. 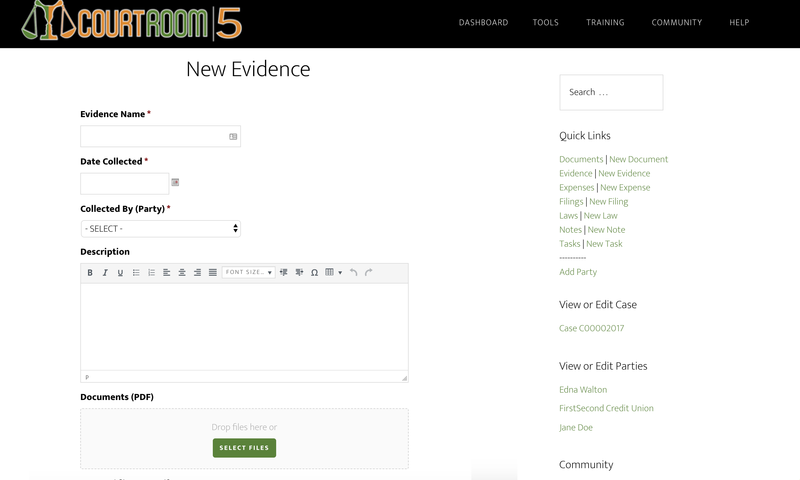 Rest assured that no one sees your data without logging in to your Courtroom5 account with your secret login credentials. Cancel your subscription at any time by clicking the ‘Cancel’ button on your account dashboard. Your subscription ends at the end of the billing period, and you won’t be charged again. At that time, we safely and securely delete your files and other data from our servers to ensure your privacy. Are there any cancellation fees or long-term commitments? No and no. 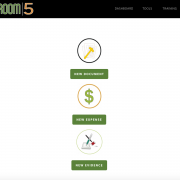 A Courtroom5 subscription is month-to-month, and you may cancel at any time. There are no termination fees or other charges. You may cancel your monthly subscription through your account at any time, but we cannot issue refunds for the days left on your subscription, or for previous periods. These ladies at CourtRoom5 are magnificent. CR5 is a brilliant work of art for any Pro Se litigant. The quality and shear volume of info and tools is amazing. I’m thrilled that I found a community like this to share thoughts and ideas. Thx again ladies. I plan on being a contributor to community for many years. Helpful for me. Many thanks! This site is very informative, and loaded with valuable legal information on accessing the legal system, or filing your case Pro Se. I was faced with a legal situation, and did not know exactly how to handle. I googled “legal help”, and this site just popped up and attracted me out of all the other sites. I am a spiritual person, so I know that it was divine inspiration that lead me to this site. I followed the urging and so glad I did. The staff is so knowledgeable and prompt in responding to posts, and the fee is very affordable. I am very appreciative that this site is available. Out of all the other legal sites, this one is the most helpful to me. Courtroom5 – Thank you very much for creating such a fantastic job to get things together and make them very helpful to pro se litigants like me. 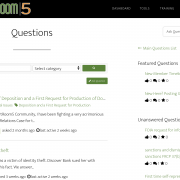 I’ve been part of another legal subscription before, but after a while of my subscription, I felt that my questions are not that welcome anymore and that made me feel uncomfortable. Until I found this community that provides a vast of information that I could use to move forward with my case. Sonja and Debrah, thank you so much! You guys have genuine hearts and understands what a pro se litigants are going through. Courtroom 5 has been a fantastic find for me. The questions that can be answered here are very useful, and i do not need worry about the bias which attorneys usually demonstrate- (that get rich off of my ignorance stuff). I think the negative review above is from someone very experienced in law and does not need to learn, OR maybe an attorney. Great staff!! Valuable teaching and very helpful tutorials to help build confidence at a stressful time. Thank you for your help at an affordable price!! CourtRoom5 was God sent. At least I can represent myself more competently due to the resources provided by CourtRoom5. I also love the fact that I am not in this law situation all alone when I read the Community options and read the blogs. Not only is the lawsuit physically draining, but mentally as well. I don’t feel alone in this big legal fight against Goliath. Goliath has drained my funds so that I can not afford an attorney even if I wanted to. I have no choice but to go Pro Se or loose my livelihood without a legal fight. If I am going to loose, at least I can sleep better at night knowing that I did the best that I could do considering the circumstances. Legal aid is available in the court districts but due to the number of hurdles that are required for one to overcome to use this free legal service, I found it useless and more stressful. I believe that legal aid is set up in this manner to make the aid ineffective. Thank God for CourtRoom5. The information is invaluable and important to anyone regardless of the fact that you are a Pro Se litigant or not. With CourtRoom5, you can ask smarter questions and know when you are being ripped off, ignored, and disrespected. This site has given me more legal assistance than many of those law websites I have paid. I would recommend this site to pro se who are tired of been ripped off by lawyers. Civil procedures and rules are very important when you decide to go pro ce. This site is invaluable as a start. This site is a waste of money and time. Due to the circumstances and statutes pertaining to my case a lawyer was effectively locked out of a financial oppurtunity if they prevailed. Needlless to say I had few options except to pursue my case as a pro se litigant . Since becoming a member I have recieved invaluable information in regards to litigating my case, which in turn saved both time and money. 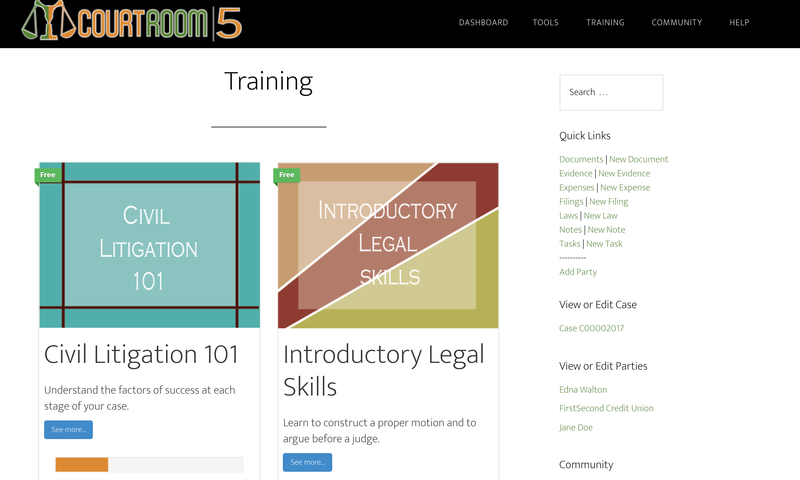 I would recommend Courtroom5 as a welcomed addition to any pro se`s portfolio. I never expected to have to defend myself in court. Although I know that the law is ‘on my side’, I am a neophyte in terms of the law. 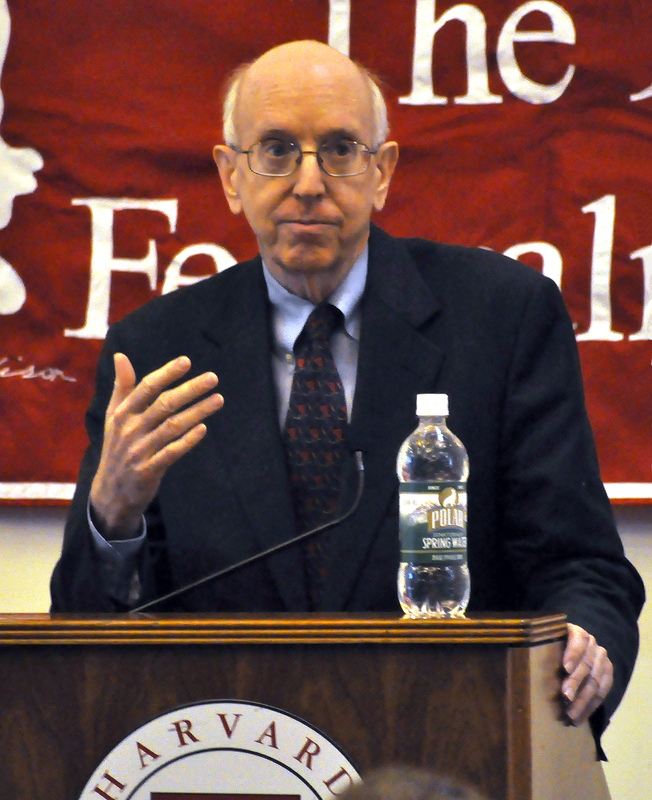 I was caught ‘flat-footed’ when a lawyer who runs a ‘lawsuit machine’ sued me. Now I am forced to play defense. I spoke to four lawyers who all conveyed confidence that they could win my case – but, they all wanted a minimum of $5,000 to represent me. 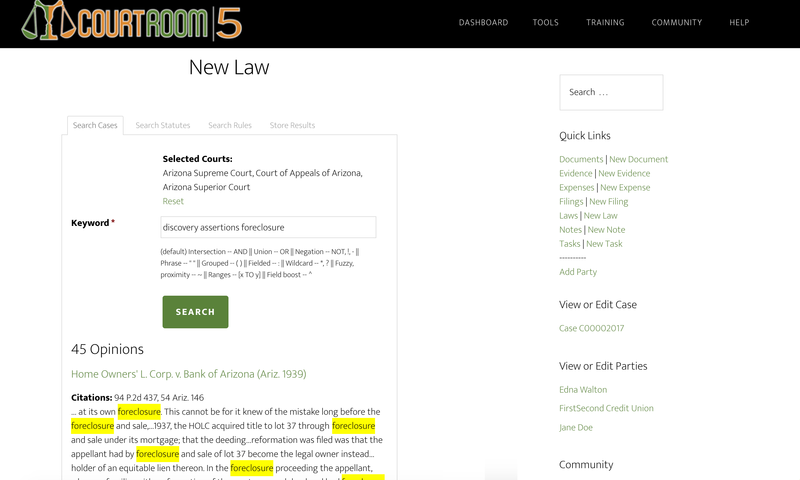 Now that I have discovered COURTROOM 5 I feel that I have the tools and information to navigate the complex legal process. 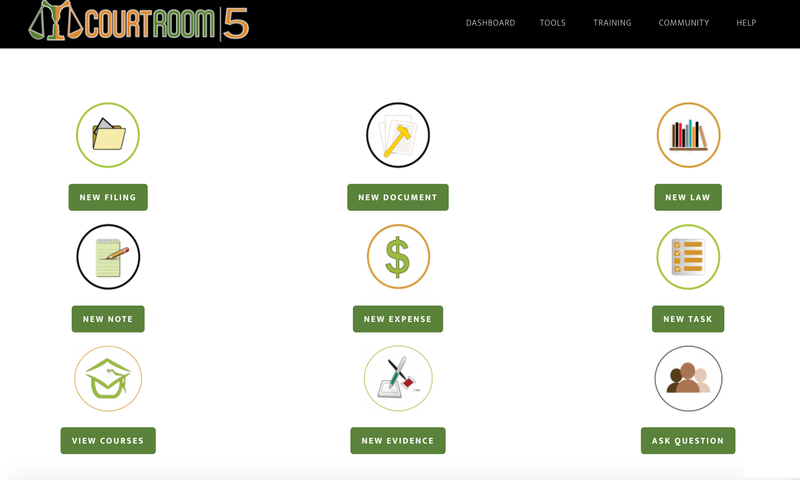 COURTROOM 5 offers a vitally important resource for PRO SE litigants to pursue or defend their cases. My college professor said you need a doctor to get you into this world and a lawyer to get you through it. Right class ? Never forgot that comment for some reason. I wish this site was around many years ago. This site is highly beneficial. One to keep reviewing to have it down pat. You never know when you’re going to need it and when you do, you dont want to have to learning in a rush. Unfortunately, that is the situation most of us are in. At least this website breaks it down so you can learn fast and get yourself up to speed. It beats the many dumb lawyers who take your money and treat you like garabge any day. This website has a wealth of info. I am truly grateful to the moderators, they are a resource of information. This a wonderful help to pro se and I hope more people will use it. Thank you courtroom 5 for all your help . I signed up yesterday, and already got answers and insight that I seriously needed NOW. 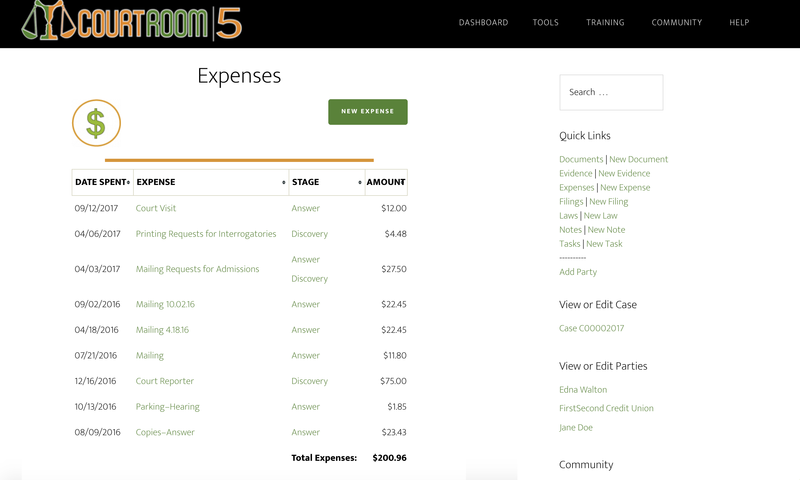 I would have happily paid someone 10 times what Courtroom 5 is per month for the answers to the topic I posted. I couldn’t recommend Courtroom 5 more highly. I am thrilled with the help I have gotten so far. I was getting sick to my stomach each time I thought about having to appear on my own. I really didn’t think I would win the case, but was going to give it my best shot. I feel that my best shot just got a lot better, and now I’m thinking I could actually win! Sonja,you are truly a champion of the “Pro-se litigant and defender”.Americans need Courtromm5,especially today when few people can afford $500/hour attorneys.I have learned quite a bit about our legal system from Courtroom5 and I know this will help me to present my case in a strong and successful way.Thank you ! After receiving my motion for summary judgment of which I received zero assistance from an attorney but helpful guidance from this site, defense has accused me of receiving counsel’s assistance and pleads in their answer that I should not get any pro se leniency. That is the power of Courtroom 5 . This service is excellent and the customer service and responsiveness of the people behind it is astonishing. I have only been on it for one days and it already been well worth it. I believe Courtroom5 has a very bright future. Too much success might be the only risk it faces. It is a very noble venture. Finally a weapon for David against Goliath! I cannot say enough wonderful things about this service! Not only is the customer service outstanding, but it’s so nice to have a community forum where you can receive feedback from other members about your case or strategy. The legal templates and document samples are also extremely helpful. 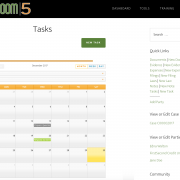 This subscription makes getting organized easy, and at a very reasonable price. Frees you up to focus on the important things….winning! 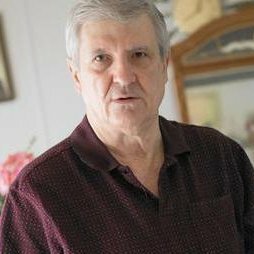 I live in a town where there are no special education attorneys, and the few advocates I’ve managed to track down have been little to no help. When preparing to go up against my local school district I accidentally stumbled onto this website and it has truly been a lifesaver!! Thanks for offering this platform, so far I am very pleased! Staff has been very helpful in helping me to get going. I can see our legal system needs help, it seems like it has almost been hijacked by lawyers making it impossible for the little broke guy to make headway in seeking justice. No one should be denied justice simply because they can’t afford council, this platform can help you do many things that seem impossible on your own. Its going to take much effort and research on your end as well, just signing up isn’t going to make you win – but it will help even the odds and increase your chances of success by offering otherwise buried resources. I gave it a low rating because I can’t seem to find a way to jump to the subscription without the trial period. Legal issues are time sensitive. Waiting 7 days is just crazy especially when I’m ready to pay now. Works as advertised, well organized. Got some good benefit out of the 2 courses so far. I have to say i feel smarter and better able to handle my case. I have represented myself in various state and federal courts for years and have experienced firsthand just how unfair our system of justice can be against a person who decides to represent himself. The reality is that the system doesn’t like it and will go out of its way to make it very difficult for a pro se to succeed. This is unfair, but sadly, it’s true. Not long ago a federal judge looked me in the eye and told me just before the trial that I wouldn’t win. The judge did a lot of things during the trial to make it unfair for me, but I did win. The jury sided with me, but the judge went out of his way to make it harder for me simply because I chose to represent myself. 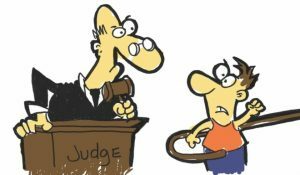 A pro se winning a court case is the exception and not the rule, as the system will have a lot of built-in roadblocks against a pro se litigant. 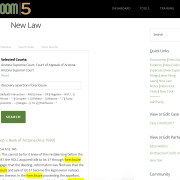 I took the time to watch a recent course produced by Courtroom5 and the great information it gave, and I couldn’t help thinking about how I definitely would have turned to Courtroom5 to help with my case had I known about it while my case was going on. Sadly, many pro se cases get dismissed just because of lack of knowledge on how to proceed, which opposing lawyers capitalize on in getting pro se cases dismissed on technicalities that otherwise could have been avoided. 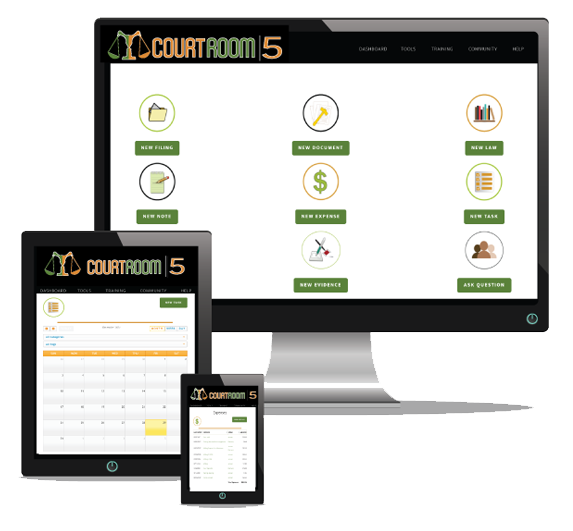 Courtroom5 offers a magnificent service that can be very helpful to pro se litigants. I would highly recommend to any pro se who is in need of some help in prosecuting his/her case to turn to Courtroom5. Your case deserves the best advocate you can find, and right now that’s you! If you’re serious about representing yourself — and if the outcome of your case matters — you want to do the best job you can. So if you’re representing yourself in court, let Courtroom5 help you make the right moves. Sign up now!